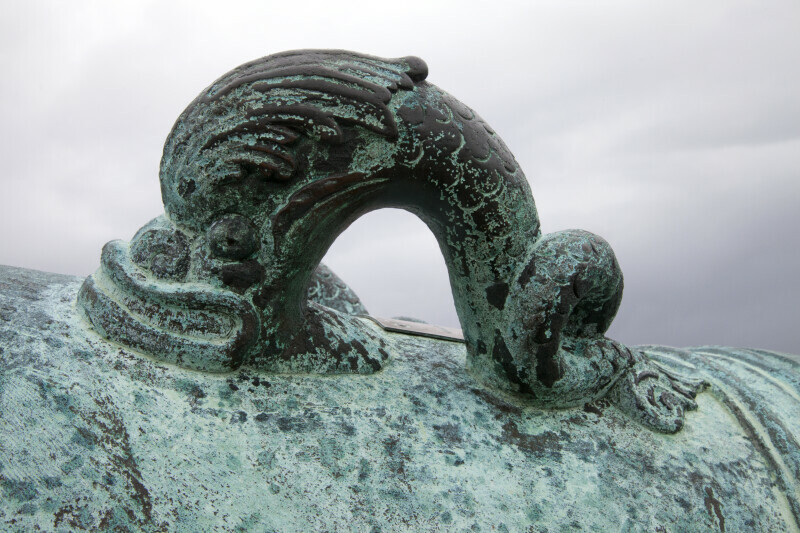 This is a carved handle, on a cannon. The subject appears to be some sort of sea creature. The handle is metal, which has turned green due to oxidization. The fort is a National Monument, and is listed on the National Register of Historic Places.